2018 was the first full year as nomads and location independent entrepreneurs. Whereas in the beginning of this journey, in autumn 2017 we traveled really quickly, making a road trip through eastern Europe, in 2018 we slowed down a bit and stayed longer in each destination. Part of the year was still about road trips in Europe, but we also flew to new destinations outside the continent. In February we started cooperation with Latvian airline airBaltic, and flew with them to several destinations in Europe, Caucasus and Arabian Peninsula. In this post we first sum up the travels of the year, then open up the costs of all this, and provide some other statistics of the year. The year begun in Athens, Greece. We stayed three weeks in the city, working with blog posts and customer projects, and of course explored this interesting, ancient capital. 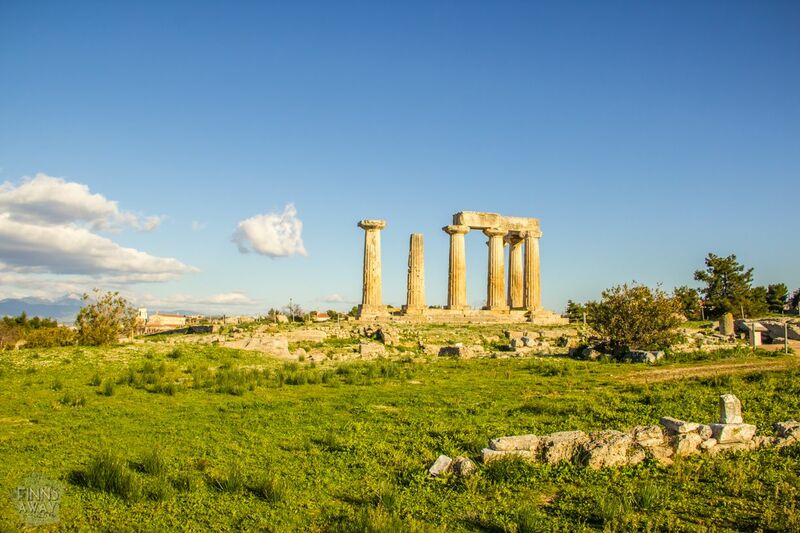 In the end of the month and in early February, we made a road trip around the beautiful Peloponnese, before leaving our car for a few months in Athens. Highlights of the road trip included visiting photogenic Nafplio and hiking in Ridomo Gorge near Kalamata. 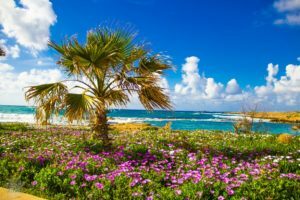 Cyprus was a new country for us, and despite being a quite small island, it turned out to be a really interesting and versatile destination. Cyprus is divided in two parts, the Republic of Cyprus in south and the Turkish Republic of Northern Cyprus in northeast. Even Nicosia, with its walled old town, is split in two parts, which makes it the only divided capital in the world. Early spring in Cyprus was pleasantly warm and sunny. In addition to Nicosia, we stayed in the towns of Larnaca and Paphos, as well as in Girne in the north, and made some hikes and trail runs in the mountains on Turkish side. 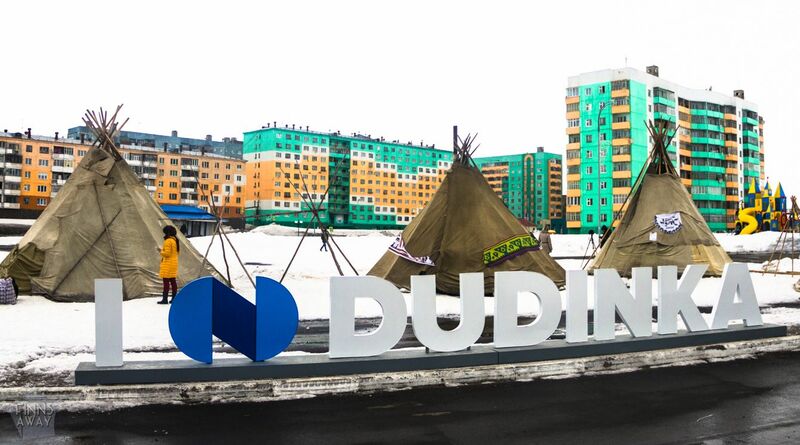 In early March we flew to Finland, to work in a music festival in our former home town Oulu. It was a great combination of working and earning some income for upcoming travels, visiting our families and meeting with friends. Early spring in Finland is great for cross-country skiing and other snowy activities, as there is plenty of snow (at least in the north), and days are long and often sunny. In mid-April we flew to Riga, the home town of airBaltic, and spend a few days in this Latvian capital that has a handsome old town, vibrant feel and some great microbreweries. Late spring and early summer was all about exploring Portugal. We had only very shortly visited Lisbon before, so it was basically a new country for us. We stayed for a while in smaller towns around the capital, and then rented a car and made a road trip first in southern parts of the country, and then to the north of Lisbon. We really liked Portugal, all the picturesque villages, castles, beaches surrounded by gorgeous coastal cliffs and lively cities. We definitely need to go back, since we still have the northern parts of the country, including Porto area, left to explore. In late May we made our first actual press trip, to one of the least expected destinations; far north part of Siberia. The Follow Up Siberia project took us to industrial city Norilsk and port town Dudinka in Krasnoyarsk Krai region, well above the arctic circle, close to Taymyr Peninsula. On the same short trip we also got to shortly visit Moscow, a city full of architectural treasures. Early June it was time to pick up our car from Athens, and take a ferry from Patras in Greece to Ancona in Italy. We made a road trip through northern Italy, San Marino, Austria, Czech Republic and Germany to France. 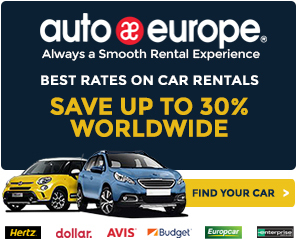 Central Europe is fantastic for road trips in summer, packed with historical cities, picturesque villages, arts, architecture, amazing nature, mountains, hiking trails and castles. Tiny, mountainous San Marino was a new country for us, a very photogenic destination with all its castles. In Italy we visited a small winery in Tuscany, were dazzled by the glory of Florence, and drove through vineyards and cute villages to the mountains in the north. A day hike to Mt. Chiampon was one of the best hikes ever, and we would love to head to Dolomites for longer hikes. Another very positive surprise was Czech Republic. We had visited the capital Prague couple of times before, and even made a short road trip around the capital years ago, but now we had time to really travel around the country. We found some amazing nature travel destinations in the northern parts of the country, and gorgeous towns like Karlovy Vary. We also met with friends from Oulu, or actually joined the concert trip that our former orchestra made to Prague and tiny Sumperk. We had a great week filled with music and laughter with friends. 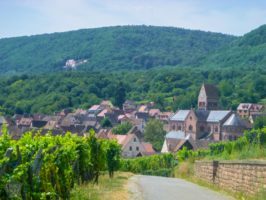 We spent the late summer in a small village in Alsace wine region in France, close to the German border. We were house sitting while our Finnish friends living in Alsace had a holiday in Finland. It was great to stay in one place for a longer time after all road tripping, and to focus on writing and renewing our website, as well as working on some customer projects. We made long trail runs on nearby mountains, and shorter runs through the neighboring, picturesque villages and vineyards. We even joined a local wood wind orchestra for a moment, and made some folk music gigs with them. Wonderful experiences really, but too bad that we don’t speak French and not good enough German either. In late August we left our car in Alsace, and took a train to Paris, to spend couple of days in the famous capital of France. Then we made a short visit to Minsk in Belarus, before flying to Tbilisi in Georgia. We had decided already early 2018 that we would spend the autumn in Caucasus, exploring Georgia, Armenia and Azerbaijan. We had even planned to travel to neighboring Iran, but quickly realized that three months is not enough even for the three Caucasian countries, so we saved Iran for later. Our adventure in Caucasus was one of the best trips ever. We managed to quite well combine traveling around and staying a bit longer periods in one place and working. 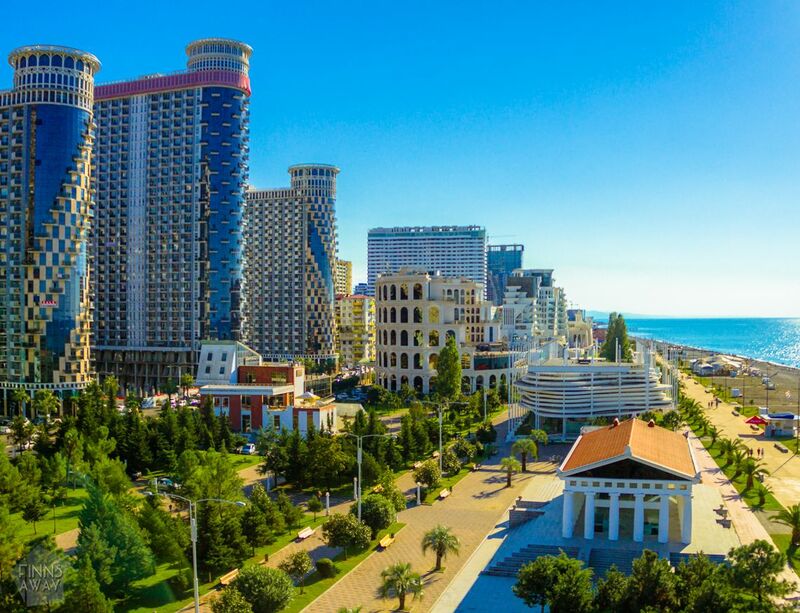 Batumi by the Black Sea in Georgia became a kind of a home base for us, mostly because one of Toni’s teeth fell apart, and required several operations during a two months period. We had nothing against staying in Batumi, it’s a charming city really, and in between the dental operations we could travel around. Caucasus is a wonderful and affordable travel destination, we absolutely loved it. The Caucasus Mountains offer endless possibilities for hiking, and we made an amazing three-days hike in Svaneti in Georgia, as well as some shorter day hikes on Lesser Caucasus Mountains. 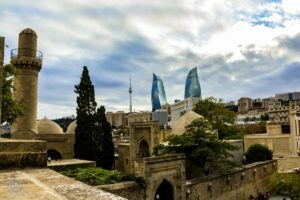 In Azerbaijan we stayed in the busy, wealthy capital Baku, as well as in much more rural Shaki, in the middle of forested mountains. In Armenia we only spent one week in the capital Yerevan, so we need to go back to see more. In late November it really started to get cold in Caucasus. It was time to warm our bones somewhere before a winter in Europe, so we flew to Abu Dhabi in the United Arab Emirates. It was our first time in the Arabian Peninsula, and UAE surprised us in many ways. It was very interesting to travel to different emirates, learn about the history and culture, meet with expatriates from different countries, and of course to admire the modern architectural gems of Dubai and Abu Dhabi. Blog posts about UAE will be published soon. As we decided to stay in Europe this winter, it was an easy decision to fly back to Cyprus. The weather is rather nice throughout the winter, and it’s easy to find affordable accommodations around the island in the low season. 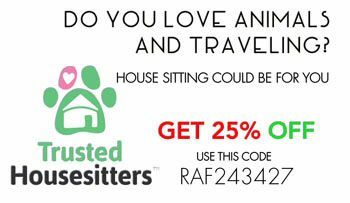 We also got started with house and pet sitting, using a platform called the Trusted Housesitters (promo code for 25% discount: RAF243427). 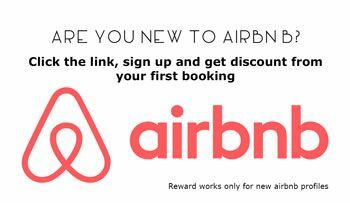 Before this we had taken care of properties of our friends, but this platform enables finding short and long term house sitting jobs from around the world. During Christmas and New Year we stayed with a fellow Finn in Nicosia, the divided capital of Cyprus. Ways of traveling: 20 flights, roughly 5 500 kilometers road tripping, 4 long train trips, 1 ferry ride, dozens of bus rides. 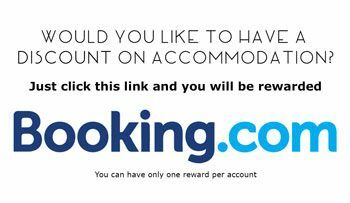 Accommodation: Mostly apartments and rooms rented via Airbnb, also a lot of hostels booked via booking.com. 6 nights in hotels, 7 nights in a tent. We stayed in total 133 nights free of charge, mostly house sitting and with friends. Here is the summary graph of all the costs during the year. Accommodation costs sum up to 3 291 €, which means that we paid in average 14,2 € per night (excluding all free-of-charge accommodations). This is pretty low average price for a night, taking into account that we spent most of the year in Europe and quite often rented whole apartments. Regarding eating and drinking, we used all in all 3 693 € for food and drinks in restaurants, and 3 365 € for groceries. Restaurant bill is actually surprisingly big, since we like to cook most of the meals ourselves. The sum of course also includes all alcohol drinks in restaurants, pubs and microbreweries during the year. Divided to daily level, the two of us used 19,3 € per day for eating and drinking. Traveling costs, which means mostly train and bus tickets, fuel and car repairs, sum up to 2 362 €, so 6,5 € per day. Most of the flights this year were covered by our travel partner airBaltic, and the flights to Moscow and Siberia by Follow Up Siberia project. Fitness costs, alias entrance fees to gyms add up to 156 €, so 13 euros per month. Other costs, 992 €, include dental operations (460 €), some clothes and shoes, entrance fees, supplies and toiletries. 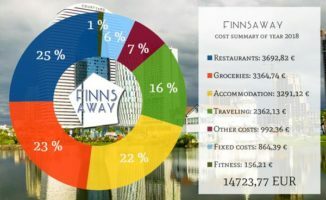 In addition to these costs of traveling and living abroad, there are the so called fixed costs, in total 864 €. This sum consists of travel and health insurances (402 €), insurances and taxes of our car (223 €), phone bills (116 €) and membership fees to Trusted Housesitters and Couch Surfing (124 €). Adding up everything together, the price tag of our nomad year was 14 724 €, so in average 1 227 € per month or 40,3 € per day for 2 of us. This means we managed to maintain our long term budget target of 50 € per day very well. 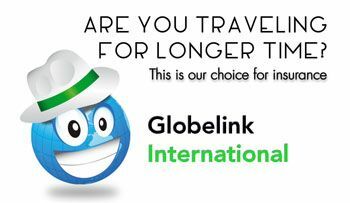 Check out also our monthly cost summaries and travel cost posts from different countries on the finances page. On the revenue side, we have got rental income from our apartment in Finland and earnings from working in the music festival in Finland, as well as from customer projects for Finnish companies. On top of that we have had some investment income. These sum up to roughly 15 000 €, which means that we earned enough to cover our travel and living costs. On the other hand, we still have quite hefty mortgage to be shortened monthly. Our aim is to keep costs and earnings in balance, so that we don’t need to use our savings for living. We published in total 66 blog posts during the year. In the summer, when launching the renewed website, we started publishing short stories and news posts in addition to our lengthy travel guide posts. The plan for the year was to write more about the digital nomad side of our travels, as well as to publish travel stories about our holiday trips before the nomad life. However, we ended up focusing more on new travel articles, since there has been so many wonderful new destinations to write about. The most popular article has been a post about visiting Meteora in winter. We explored this unique site in northern Greece just before Christmas in 2017, and published a post about it in January 2018. It has been read by people planning to visit the site during the winter months, and even reached a number one position in Google search results, which is quite an achievement. This is the collection of top 9 Instagram posts during the year. Not all of them are our favorite pictures, but these gathered the most likes. The most liked picture is part of our picture series of photogenic vehicles, a VW Kleinbus pictured in Northern Cyprus in February. Otherwise there are 2 pics from Greece (Kalamata and Kalabaka), 2 from Czech Republic (Mostkovice and Prague), 1 from Italy (hiking in Mt Chiampon), Poland (Warsaw 2017), Russia (Dudinka) and Slovakia (High Tatras 2017). We try to maintain sporty lifestyle when on the road, and always carry a pair of training shoes and hiking boots with us. During the year we ran 868 kilometers and hiked 280 kilometers, and in addition went to a gym or did other weight training 50 times. We are not fully satisfied with these numbers, but still, it was a pretty active year, and on top of these figures included a lot of walking. In Batumi we had a one month membership to a gym, but elsewhere we just bought single tickets whenever there was an affordable gym near our apartment. To get better results, we should go to gym more regularly this year. In 2019 we hope to make more multi-day hikes on the mountains, and the plan is also to run more. We love both trail running on the hills and in the forests, and sightseeing runs through new cities. You can read our monthly activity summaries and sports related posts on the sports page. How does 2019 look like? This year will for sure bring new adventures on our path. We haven’t made any big plans yet, so the only thing that is sure at this point, is that we stay the first two months here in Cyprus, and then go to Finland in March. After that we most probably will pick up our car from France, and make yet another road trip in Central Europe. We have also been talking about spending the next winter in some tropical country, so not in Europe. Possibly exploring Central America, and studying more Spanish as we go, let’s see! Thank you for following our journey, wishing you exciting New Year and happy travels!